With so many people adopting the tiny lifestyle, we wanted to get some deeper insight into the personal stories, motivation, challenges, and triumphs behind their efforts. 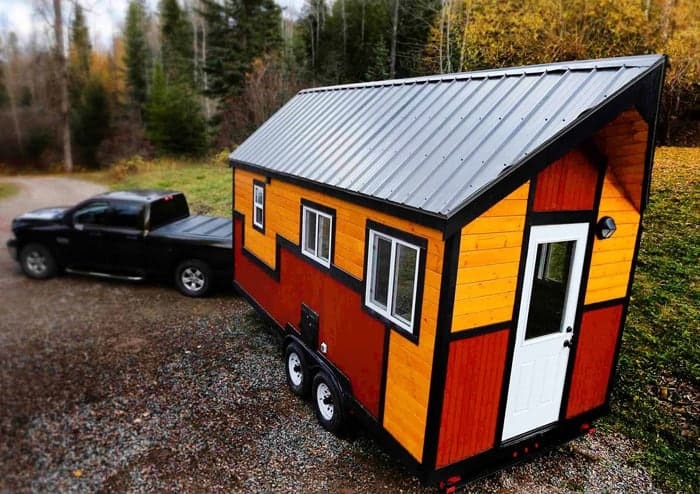 Everyone has a different story, and we recently caught up with Nichole and her boyfriend who were fresh off taking delivery of their new tiny house on wheels. 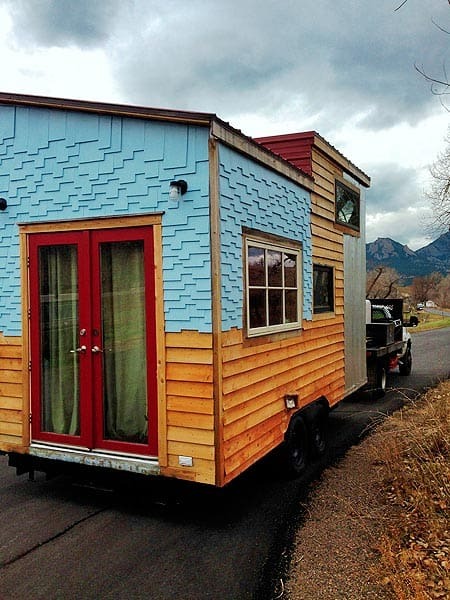 They were kind enough to answer a few questions about their tiny house, and below you can find their answers and plenty of pictures of their new home. 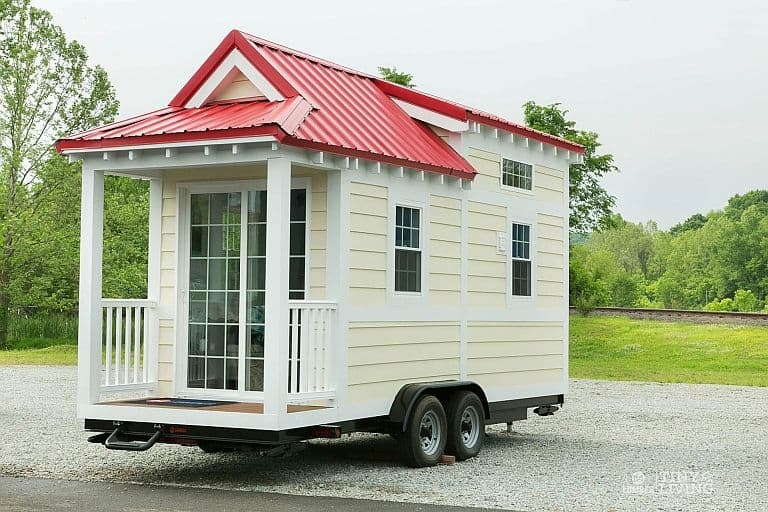 Our house is built on an 8×24 trailer. We designed it ourselves, and finally settled on this design after maybe 10 or so sketches. We both work at home and love to cook, so we built our design around these two things. Initially we both had a desk, but we removed one since we weren’t using them like we thought we would. 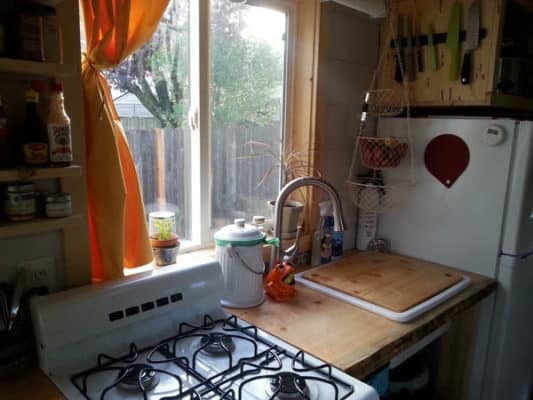 We are so glad we went with a “full sized” kitchen, however. 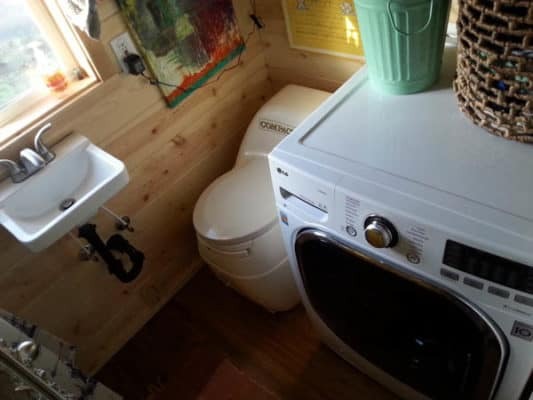 We have three closets, a SunMar COMPACT composting toilet, tiny tub, a combo W/D, and a propane water heater. We use propane for our stove, too. 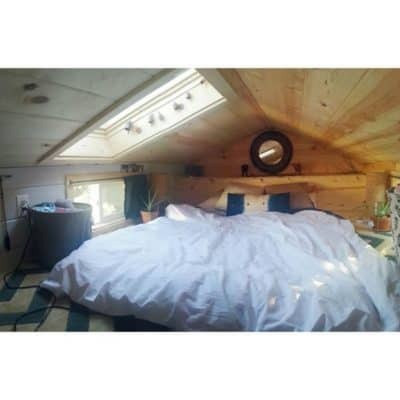 Our sleeping loft is about 8×10, and we have an 8×4 storage loft. We have ladder access for both of these. Some people prefer stairs, but climbing a ladder isn’t an issue for us. 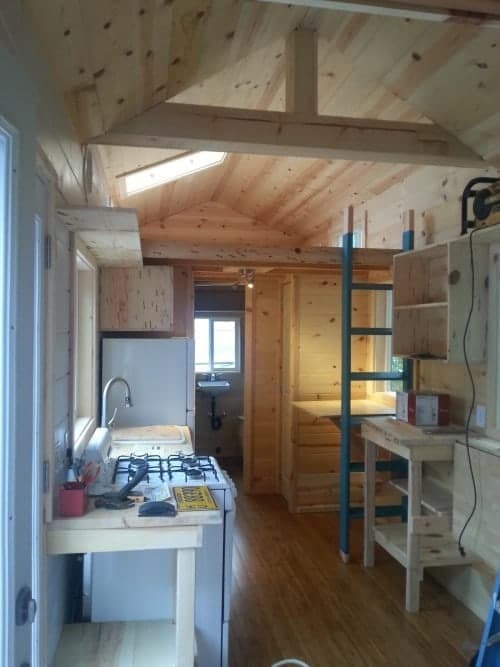 We had our design built by a local guy for $29,000, including all of our appliances. 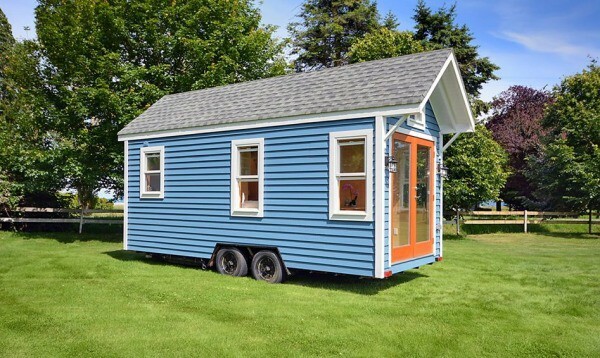 What motivated you to make the transition to living tiny? 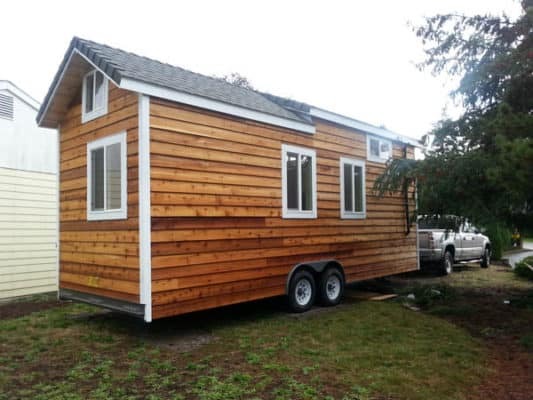 We wanted to transition into a tiny house to save money, and the mobility aspect is very appealing, although we have no plans to tow frequently and are settled in to a semi-long term space. Other than that, we lived in a 500 square foot studio before and there was a lot of space we weren’t even using. 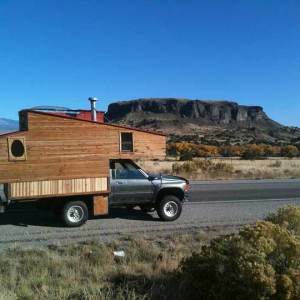 Downsizing to where we are now wasn’t much of a change for us. We got rid of a bunch of things before we left to travel for two months, then got rid of even more after coming back to the states, and have slowly been purging even more as the weeks go by. 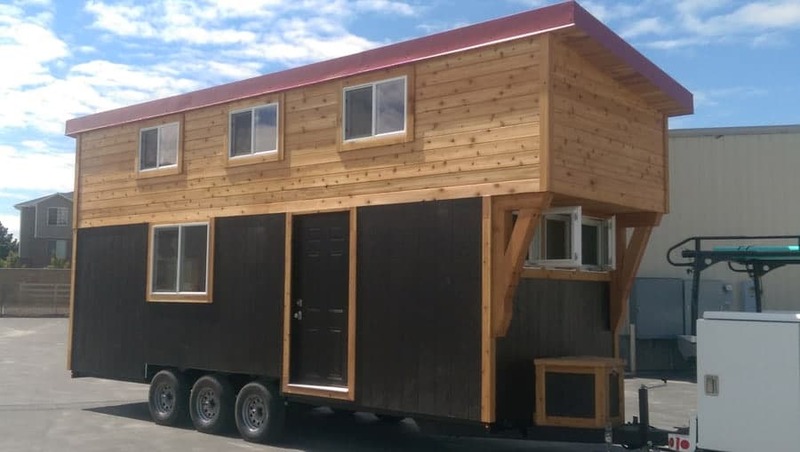 What was the hardest part about the build? 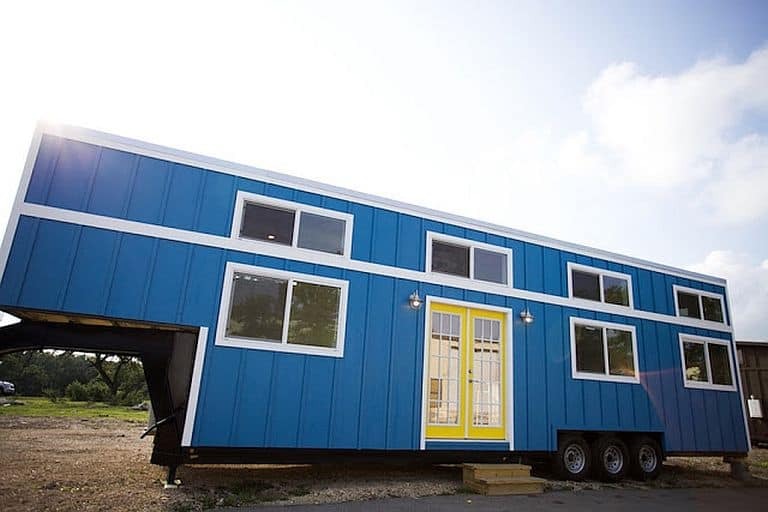 The hardest part about the build for us was not having total control over things and kind of having to let go and give our builder a bit of liberty. He did a wonderful job overall, but in the few months we’ve lived in it, we’ve found some issues that we’ve had to fix ourselves that never should have been there in the first place. It’s been really frustrating. We probably wouldn’t recommend him which is why I’m not mentioning him. 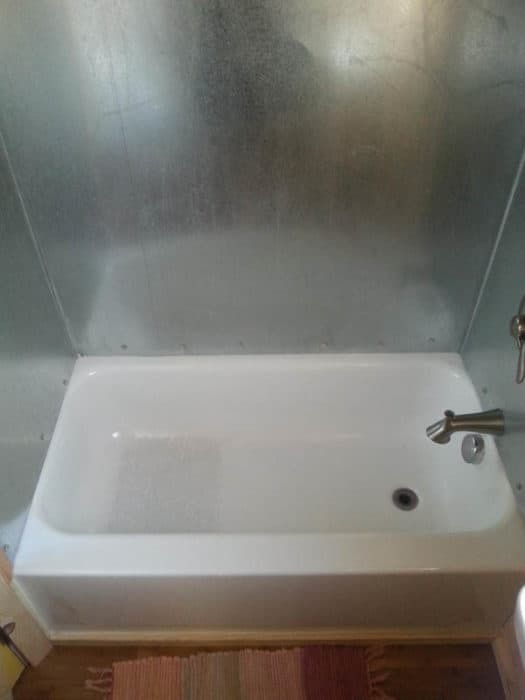 Our toilet wasn’t vented properly, there was no overflow installed so we’ve dealt with overflow on the floor, some wiring issues, propane issues, the nails in our siding weren’t sealed so what used to be beautiful, golden brown cedar is now covered in black rust spots. The list goes on. What is your favorite aspect of the house? 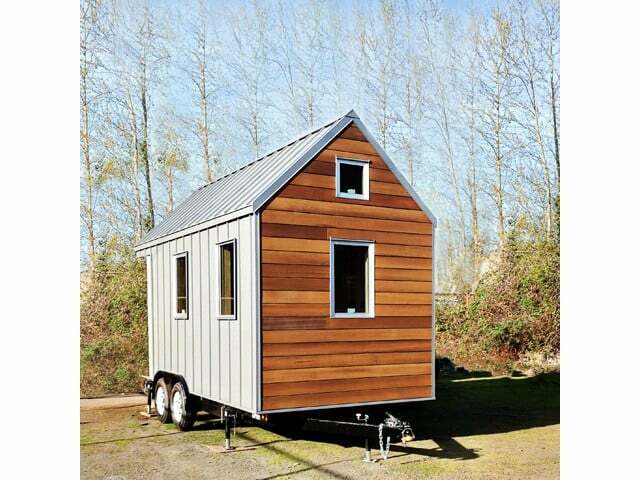 Our favorite thing about the tiny house is how perfectly it suits us. 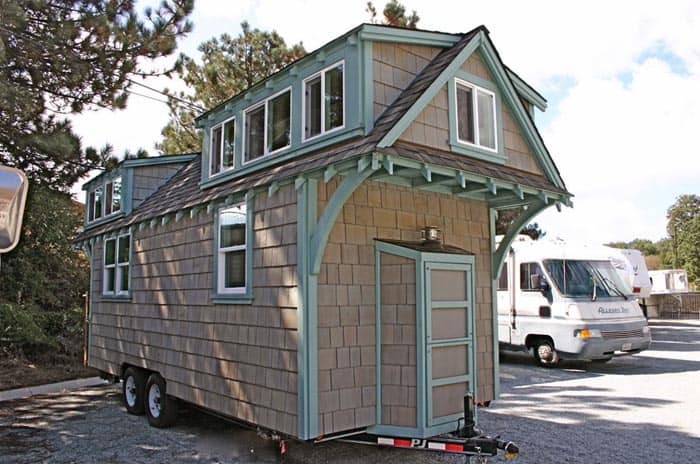 We love that we were able to go with a custom design we did, and didn’t have to purchase something pre-built, or use pre-existing plans. The fact that when we “move” there isn’t any actual PACK packing up involved is also AMAZING. If you could change one thing about the design, what might it be? There’s nothing major we would change, and when it comes time to make changes, nothing is so permanent in the house that we can’t make it happen. 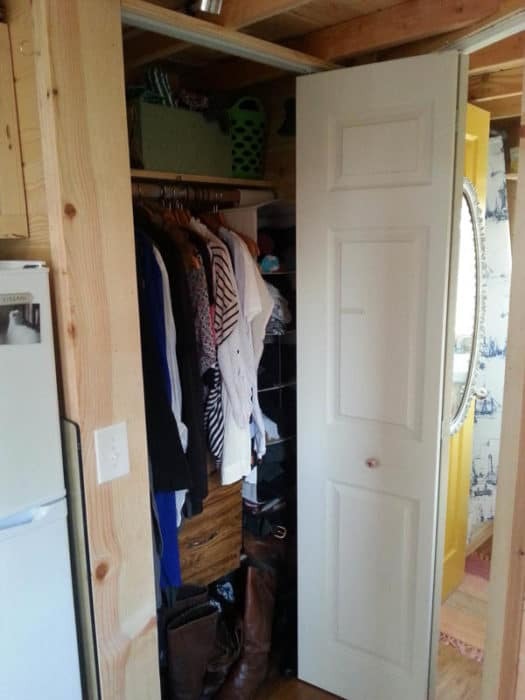 We have possible changes in mind for the future- for example, we might take out our utility closet, and we might move our kitchen to the end of the house instead of the middle, and we might add some stairs when we get a dog in the far away future. The main thing might be wishing we could have found a different builder to do work of a better quality for the same great price. So many details missed. 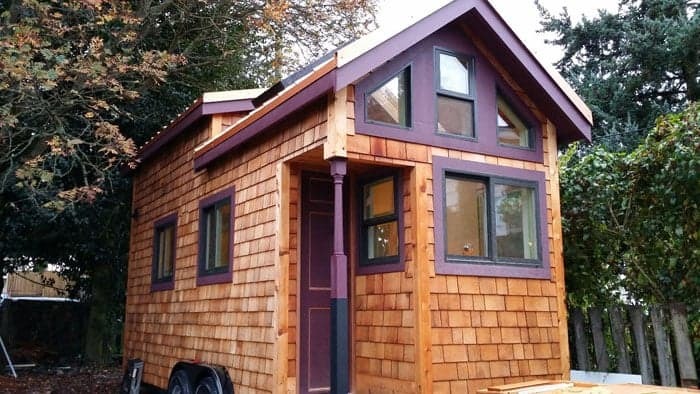 What sort of reactions have your family and friends had to the tiny house? 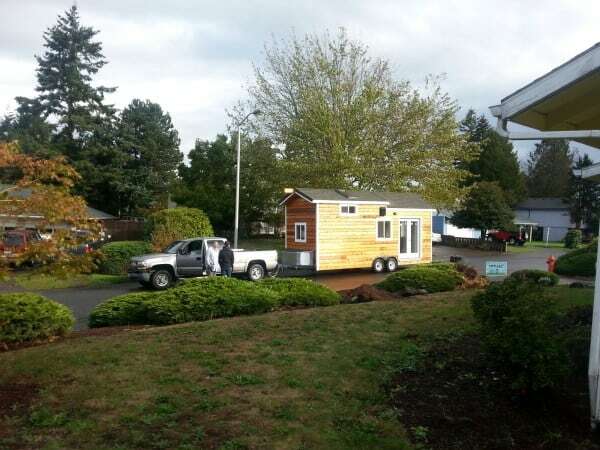 That exciting moment when your tiny house first arrives. 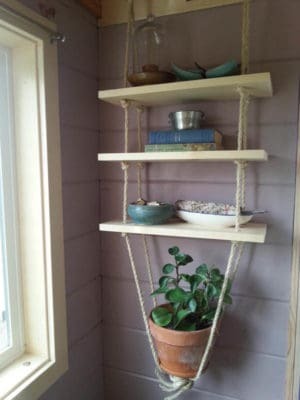 Empty shelves and storage spaces will soon be filled. 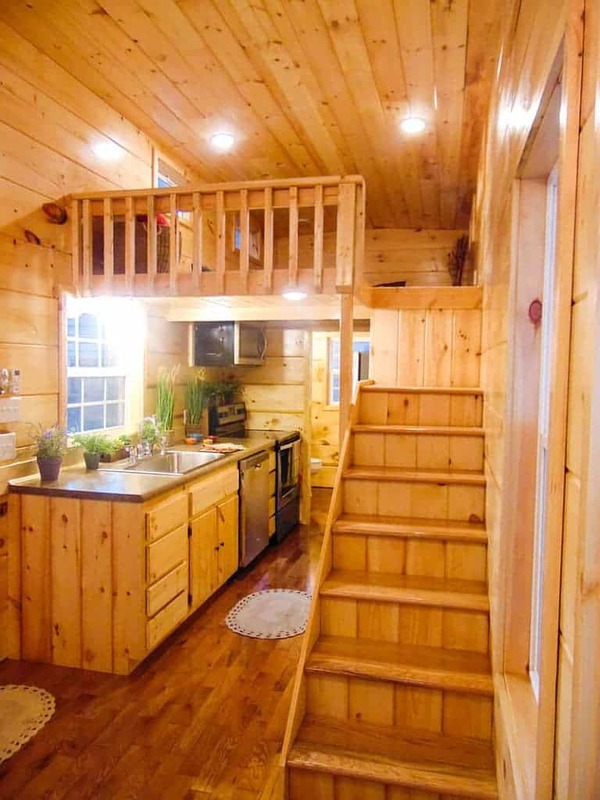 Want to see more of Nichole’s tiny house? Check out the full gallery of images on Imgur. 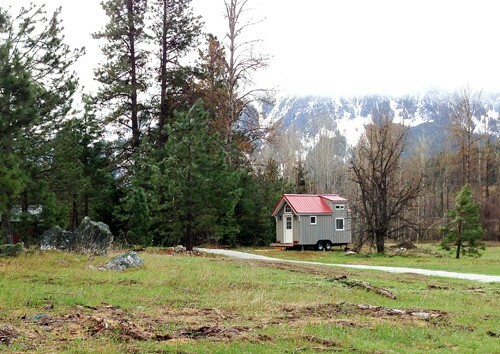 Hummingbird Micro Homes Aims To Help Families in B.C.